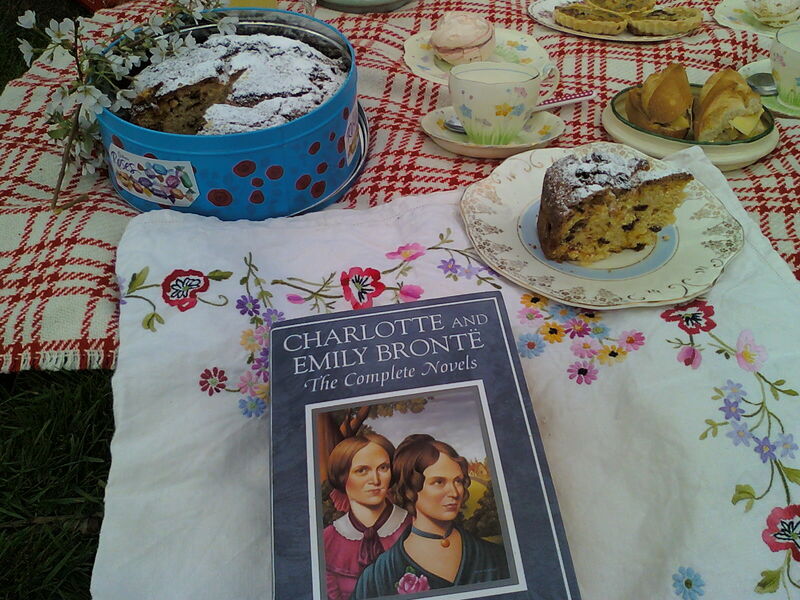 Sitting on a picnic rug, sipping tea from best china and tasting cake, it’s so Jane Austin! 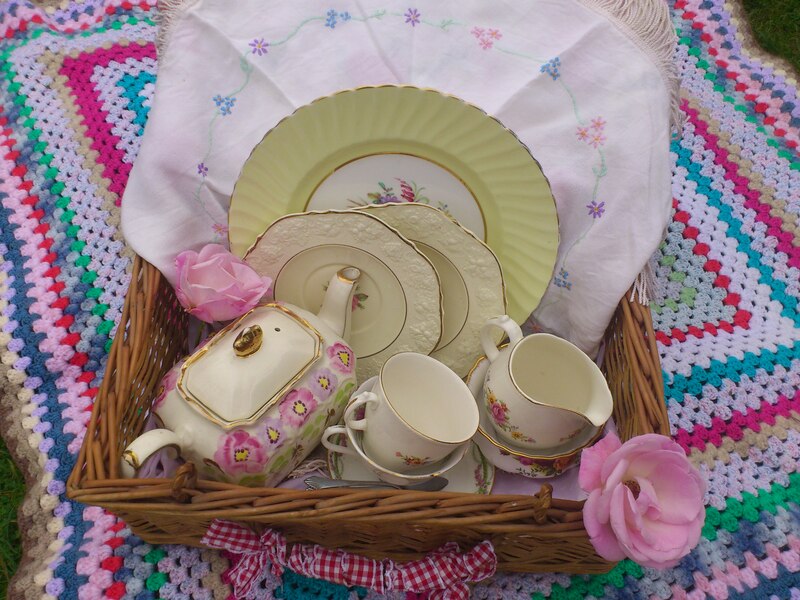 While we can’t bring Mr Darcy to order, we can supply you with fine picnic essentials with vintage accessories to boot. Maybe you’re taking a break in the country with friends or taking in a play or festival in the park, or embarking on a romantic afternoon or maybe even looking for the perfect atmosphere to propose to your sweetheart. 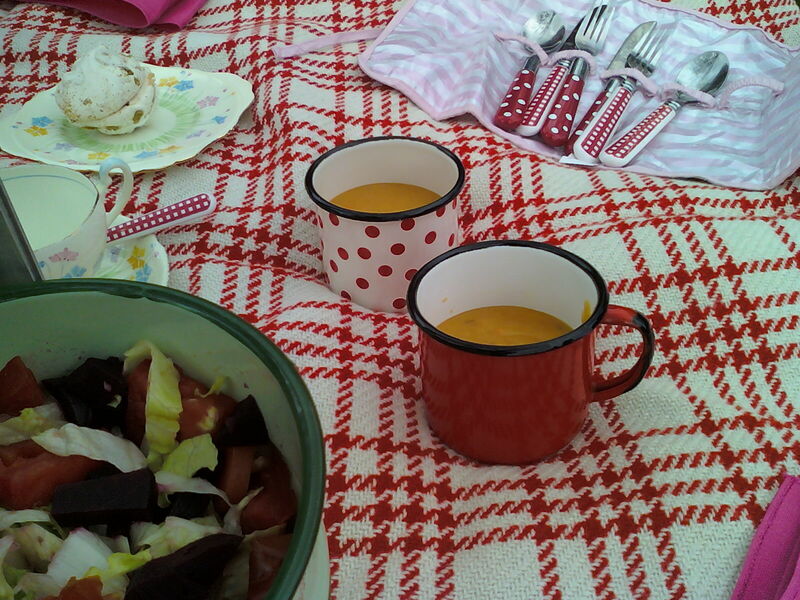 Whatever the situation, we can provide a suitable picnic. Why go out on the town when you could have your own customised countryside feast? 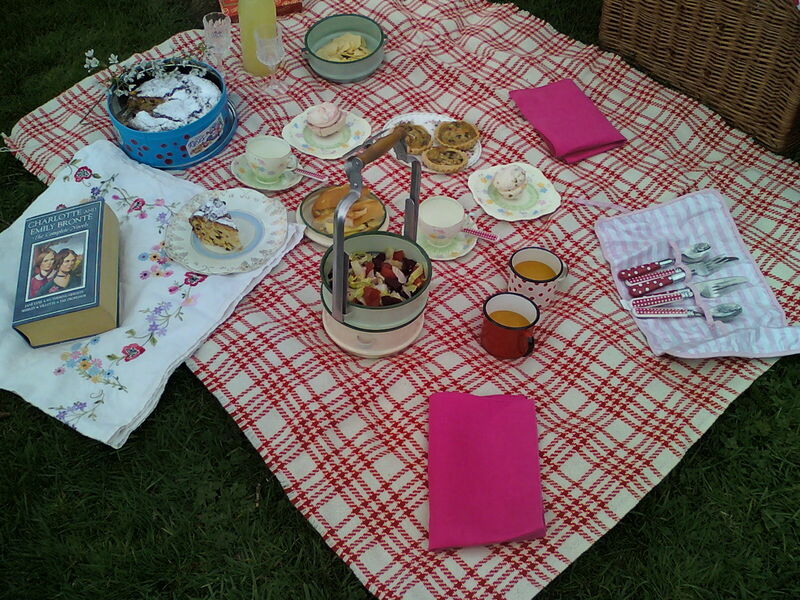 We can also offer you our bespoke picnics with a blanket, vintage picnic basket and full crockery hire and delivery extra. See below for further information. 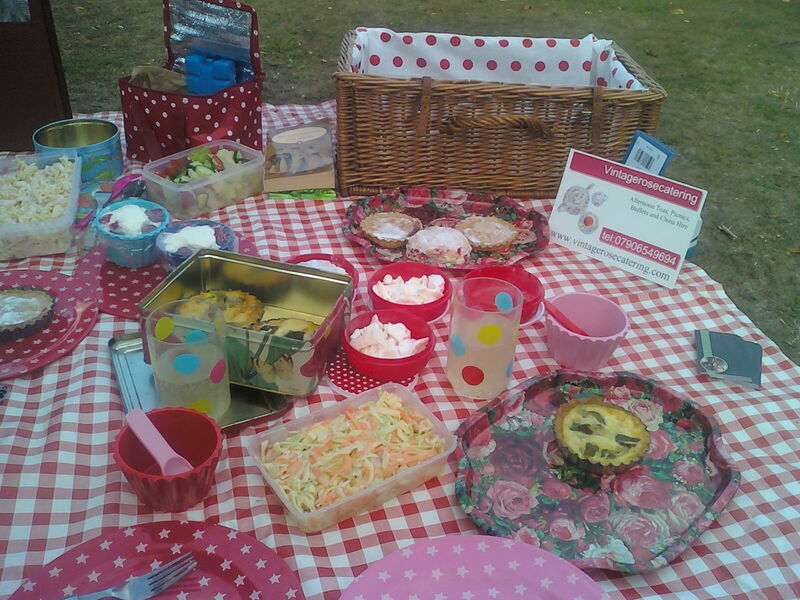 If you want to cater yourself why not hire our picnic equipment? Our package below offers you affordable convenience. 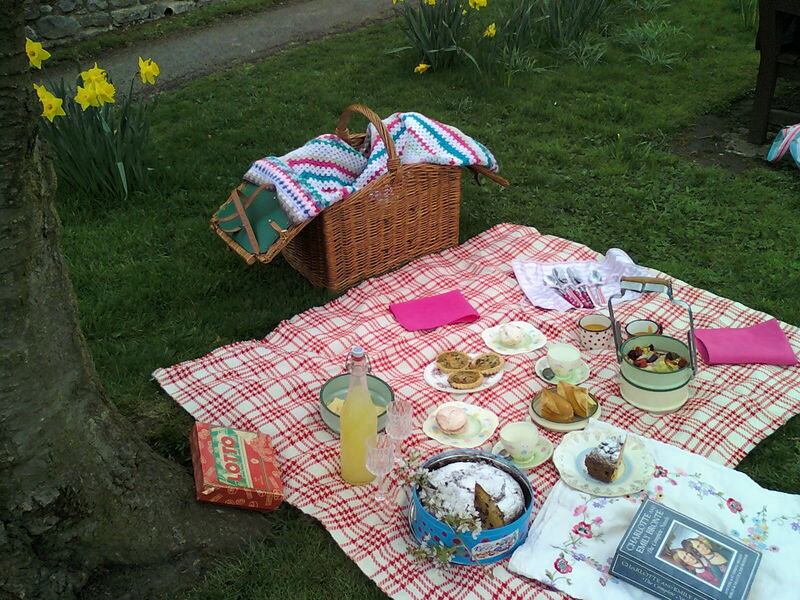 If you required our Picnics in wicker baskets, with freshly made seasonal food. You will need to collect and return all items on hire a deposit of £100 for breakages cover will be payable on booking, which will be refunded on return of hired items.